Roof Rats – Roof rats are very common in San Diego and will be the species you will most likely come across in your home, apartment, or business complex. They tend to be climbers as opposed to a borrowing rat, so like to live in house rafters and inside your home’s walls. Roof rats tend to be brown to gray in color and have tails that extend longer than the length of their head and body combined. Give us a call for affordable San Diego roof rat control. 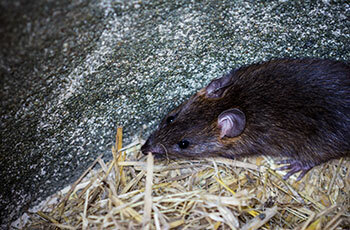 Norway Rats – Norway rays are larger in size than the rood rats but are found less commonly in homes around San Diego. They can be black to gray to brown in color and have scaled tails that are shorter than the length of their head and body combined. Wood Rats – Wood rats are common outdoors – in wooded areas and canyons. They build nests out of sticks, bark, and other ground debris. They range in color from gray to brown. Droppings in your garage or other dark spaces. Signs of gnawing – rats and mice will gnaw thorough almost anything to get to food sources – drywall, wood, pipe insulation, even cinder block in rare cases. Rats and mice are known to carry diseases that are quite harmful to humans and even pets and other animals, which is another reason to promptly call animal control if your home is under attack. Rats and mice can carry various plague viruses, hantavirus, rat-bite fever. They are home to certain parasites like tapeworms, fleas, and ticks. Rodents can poison food supplies with their droppings and urine. 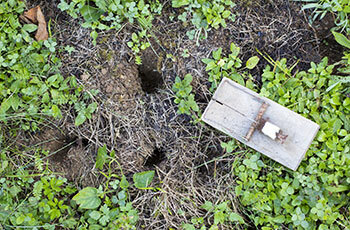 Inspect your surroundings and close up any holes leading into your home or buildings. Remove easy-to-find food sources by keeping trash cans covered, remove pet foods at night, and throw away any ripened fruits that fall to the ground. Do not store food sources outside unless they are kept in metal containers. Remove trash or loose debris from your yard. Tried-and-true snap traps. These are the most common and effective traps. When the trap is sprung, the rodent is usually killed quickly, reducing the chance of suffering. The TomCat Profession series of traps works every time. Electronic Zap Traps – Another kill-trap, this traps electrocutes the rodents as soon as they set off the trap. 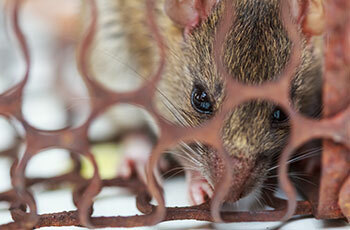 Glue Traps – While glue traps are marketed as humane traps, they really are not very humane. The rat or mouse gets stuck in the glue, and will sometimes chew their way to safety. Disposal of a live catch is also a concern and like trapping with a cage, you should call a professional rodent exterminator to dispose of your caught rodents. Rat poison should be used outdoors only. The last thing you want is a poisoned rodent dying in your home’s walls or attic. The smell can be absolutely horrific and close to unbearable. By implementing an effective rat baiting process, you can control rat populations in the surrounding areas. Rodents can damage walls, attics, brick, and even pipes and insulation. A common danger is that rodents can chew through wiring in your home or even your car. Left unchecked, rodent damage can get quite extensive, costly to repair, and dangerous, especially when they cause damage to electrical systems. Keep that in mind if you are debating calling for Orange County rodent removal or plan on trying to handle the rat problem yourself. It is good practice to sanitize area where the rodents were nesting. Droppings and urine create a very unpleasant smell and will not disappear unless cleaned up and sanitized. You should always wear rubber gloves when cleaning up rodents droppings. Spray the droppings and urine with a disinfectant and let soak a few minutes. Clean-up droppings, seal in a plastic bag and place in an outdoor garbage can.